Arizona: the land of deserts, the Grand Canyon, and snowbirds from across the country fleeing from winter winds. The state hosts a wide variety of outdoor activities, from Major League Baseball’s spring training season to delicious plates of Mexican food – served on outdoor patios, of course. And yet all this rich culture and landscape luxury can be overshadowed by the fact that Arizona has the 5th highest poverty rate in the country. According to 2016 U.S. Census estimates, 17.7% of Arizona residents meet federal poverty guidelines. Although Arizona struggles with poverty, the state’s economy is currently experiencing a boom of sorts, ranking 13th in job growth in 2017, beating out even California. The finance, healthcare, and food service industries are seeing the most job growth, but only finance and healthcare are higher-wage industries. Job growth may be strong, but it’s interesting that so many Arizonans are struggling amidst what many economists say is likely the peak of Arizona’s boom. Arizona residents who aren’t enjoying the benefits of the boom may feel like they’re stranded in the 2011 Phoenix “Monster Haboob,” except buried under debt instead of dust. For Arizonans struggling to get by, taking out a payday or a title loan might seem like the only available option. But there are ways to dig yourself out of debt and power through life without falling victim to predatory lending. A payday loan is a short-term loan – typically around $500 – that often comes with a triple-digit interest rate, requires automatic withdrawals from borrowers’ checking account, and can catch borrowers in a vicious cycle of owing much more money than they can afford to pay back. However, Arizona residents don’t have to worry about falling into a payday loan debt trap in their home state, because payday lending is illegal in the Grand Canyon State. In 2010, Arizona became the 17th state in the nation to outlaw these dangerous and irresponsible loans. At the time, the default rate on payday loans within the first 12 months was averaging 50%, and lawmakers had enough. On June 30, 2010, lawmakers in Arizona allowed the law permitting payday loans to expire, rendering them effectively illegal. Prior to 2010, the Annual Percentage Rate (APR) on a 14-day $100 loan was as high as 459%, the maximum loan amount was $500, and loan terms could be as short as five days. In 2017, Arizona’s Senate Appropriations Committee advanced legislation that would have allowed a resurgence in payday lending, by opening up “Consumer Access Lines of Credit,” which, if enacted, would have covered revolving loans up to $2,500. This attempt to reintroduce payday loans was short lived, however, as many legislators were opposed to one of the key components of the legislation: one which would have allowed a 0.45% “daily transaction fee,” essentially the equivalent of a 164% APR. Across the United States, payday loan-free states have helped to save consumers $3.5 billion in fees, and that doesn’t even include the overdraft fees associated with lenders auto withdrawing funds from accounts that don’t have enough money to cover the payment. In late 2017, the Consumer Financial Protection Bureau (CFPB), a federal agency tasked with protecting consumer interests when it comes to banks, lenders, and other financial companies, pushed forward tougher restrictions on payday lending nationwide. The CFPB moved to ensure that lenders can only distribute loans that borrowers can actually afford, and to limit the number of times a person could renew a payday loan to three consecutive loan terms. But they did not place any caps on interest rates. While there are protections in place against payday loans for borrowers, there are still risky subprime loans available to Arizona borrowers, they just go by a different name: auto title loans. What’s an auto (or car) title loan? It’s a small, short-term loan, usually repaid in about 30 days, that borrowers must use their vehicle as collateral to qualify for. After payday loans became illegal in Arizona, many would-be payday lenders switched over to offering title loans, where they could charge up to 204% APR. Every year, more than 2 million Americans fall victim to these payday loans in disguise, with many losing their vehicles after they find themselves unable to repay the loan due to the high fees (sometimes triple the amount they borrowed in the first place). In fact, one in nine borrowers who take out an auto title loan end up losing their vehicles. Even title loan lenders support legislation that requires them to evaluate a consumer’s ability to repay the loan, since the average title loan borrower ends up with a payment that eats up about 50% of their monthly income. 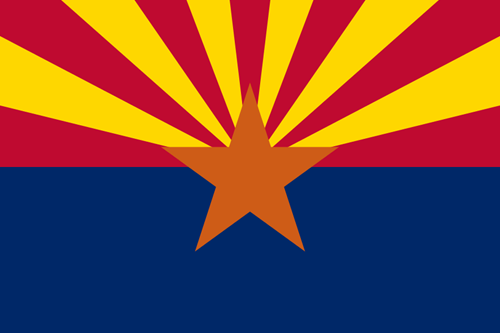 Arizona’s Secondary Motor Vehicle Finance Transaction law permitted triple-digit interest rates on secured loans, with no limits on the size or duration of the loans, and no restrictions on the lender’s ability to pursue collections on unpaid debts. Arizona has the seventh most concentrated title loan market in the country, with roughly one lender for every 8,000 adults. A 2012 study of title loan lending throughout the United States categorizes Arizona’s title loan lending as “authorized but effectively unregulated.” One of the most dangerous aspects of Arizona’s title lending marketplace is that borrowers are often not required by lenders to physically hand over their title, or even fully own the car (as in having paid off any financing loans they obtained to purchase the vehicle). Some argue that since a borrower is not giving up their title, this makes the loan a standard signature loan, and, therefore, the lender is essentially distributing a payday loan and should be required to cap the APR at 36%. While title loans may seem like a safe bet, before you take one out, consider the ramifications of losing your primary mode of transportation to and from work, taking your kids to school and running errands. Does paying over 200% interest on a $500 loan seem reasonable to you? And with so many unlicensed title loan lenders operating in Arizona, are you even sure the lender you’re looking at is legally allowed to give you a loan? If you need to get better control of your finances, you can find a reputable bank or credit union in your area that can help you find a safer loan option to fulfill short or long-term financial needs. You can also turn to online lenders that may have more competitive loan terms. If you have bad credit or no credit, that doesn’t mean you won’t be able to find loans other than payday or title loans. As with any purchase or life choice, read online reviews, ask questions and make sure it fits within your budget (or start by making a budget in the first place). Although traditional payday lending was made illegal in 2010, two of Arizona’s national banks offered “advances” on an individual’s direct deposits, Wells Fargo and US Bank, and a study done by the Center for Responsible Lending found that the APR for these direct deposit advances was 365 percent. One lender, CheckSmart, was even sued for selling gift cards with a credit option that had a typical APR of 360 percent. All of these versions of predatory lending put consumers in a non-stop debt cycle: borrowing to make ends meet one month, only to find that they now can’t cover the loan payment the following month. 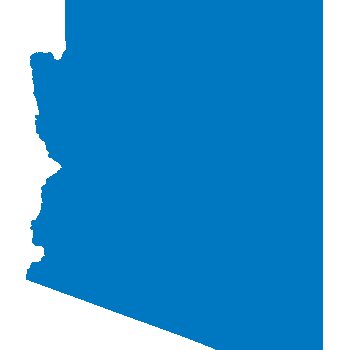 Consumers in Arizona can also receive resources and support from Arizona Public Interest Research Group, as well as turn to the local Better Business Bureau for ratings on lenders.